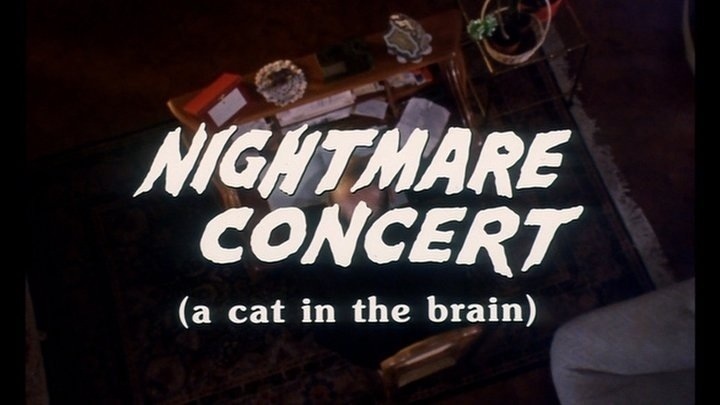 Released in 1990 Cat in the Brain, which also goes under the title Nightmare Concert came out when Lucio Fulci had clearly seen better days. After the release of The New York Ripper in 1982 Fulci seemed to really lose it and started a major decline in his career. His later movies really lacked and even if they delivered on the gore most of these movies were rather dire and really the only late day Fulci flick I enjoyed was Zombi 3 due to how bad the movie was it ends up being really enjoyable some of the scenes for Zombi 3 were shot by Bruno Mattei, but even the Fulci scenes had a silliness to them, but even though I enjoyed the movie it was sad to see how far down Fulci’s career had gone. 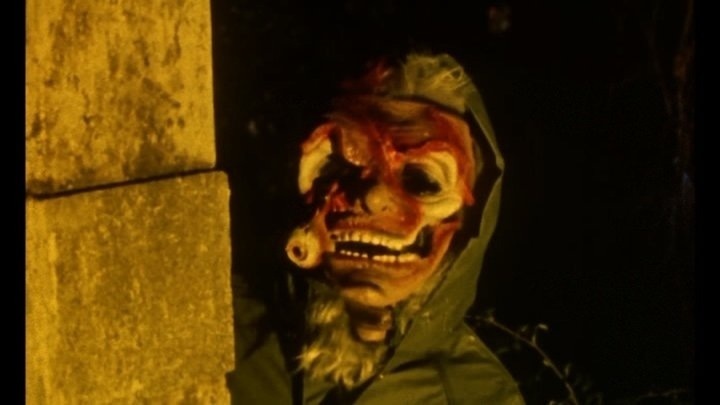 If your first introduction to Lucio Fulci came in his post-New York Ripper era I doubt many would have bothered to seek out his previous work and I really can’t say I’d blame them. 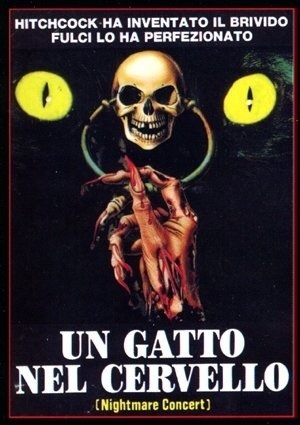 Also when Cat in the Brain came out not only was Lucio Fulci making some of his weakest movies, but Italian horror in general really seemed to be in a rut and based on what was coming out at the time it really isn’t much of a surprise their film industry was dying. It’s hard to really explain why I liked Cat in the Brain so much, but this is the only late day Fulci I really liked a lot and while this may not reach the heights of some of his earlier work I’d go as far to say I liked this more than City of the Living Dead & The Beyond. I really can’t defend the movie in terms of why I liked it better than some of his more popular movies or why this is even a good movie. 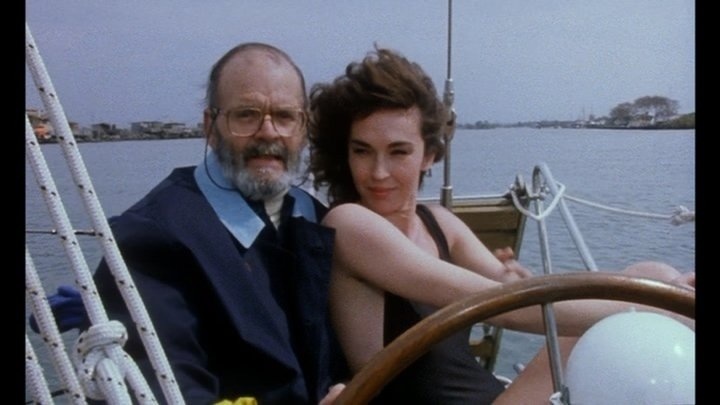 I don’t have any response to debunk any of the negative reviews, but Cat in the Brain really won me over and while Fulci made a couple of more movies after this, Cat in the Brain makes for the perfect swan song and I personally see this as his last movie. Despite popular belief Lucio Fulci was much more than a gore director with his movies such as Don’t Torture a Duckling and Seven Notes in Black, Fulci was a filmmaker who could tell a story and create scenes with suspense and tension. Even though Zombi 2 started his splatter era it’s also a movie driven by suspense and tension and some really great atmosphere. And while some of these qualities were in his splatter flicks of the 80s they were more of a showcase for over the top, but excellent gore F/X. Cat in the Brain is sort of a combination of both styles. The gore level is very high and most of the footage is taken from other Fulci directed or produced movies. Rather than use gore footage from his more popular titles, Fulci uses gore scenes from such movies as Touch of Death and Andrea Bianchi’s Massacre and Mario Bianchi’s Murder Sect, which Fulci supervised. Some have hailed this as one of the goriest movies ever made and even if most of the gore scenes are taken from other movies I suppose that doesn’t matter, but I don’t think this is one of the goriest flicks ever made, but gore-hounds surly won’t be disappointed. The screenplay by Lucio Fulci, Giovanni Simonelli & Antonio Tentori was fairly interesting; the plot follows Lucio Fulci (sort of playing himself in a sense) and after years of making horror movies he’s starting to lose his grip on reality and is haunted by violent images and is beginning to have a breakdown on what’s real and what’s fantasy. The script in many ways can often repeat itself as the same scene basically plays out over and over again. Many of Fulci’s 80s work featured plots that were incoherent and while as director Fulci was able to create a nice use of atmosphere, but when there were lulls in the action the messy script and incoherent plots would in my opinion hinder the films whereas his 70s work was very much driven by characters and the story and the films would remain interesting regardless of action. 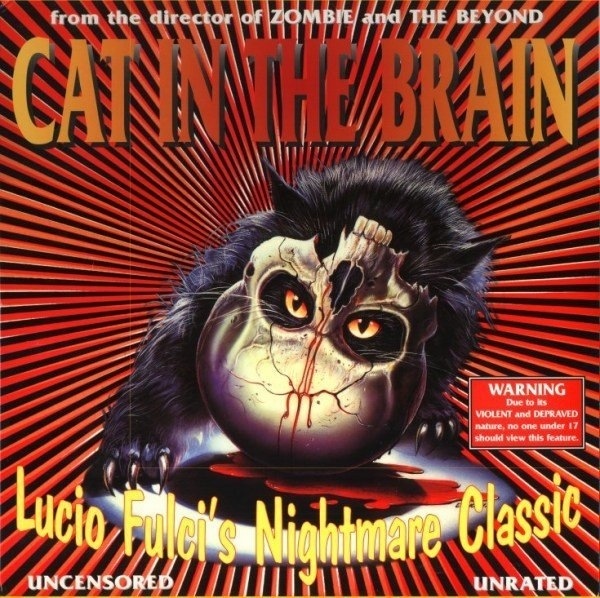 Cat in the Brain is a bit incoherent and while I felt that hurt movies like City of the Living Dead and The Beyond here it really helps the movie since we’re seeing the breakdown of Lucio Fulci and when suffering a breakdown things often lack any logic so that works to the films advantage as Fulci is quite confused on what’s happening and it does add to some character development. 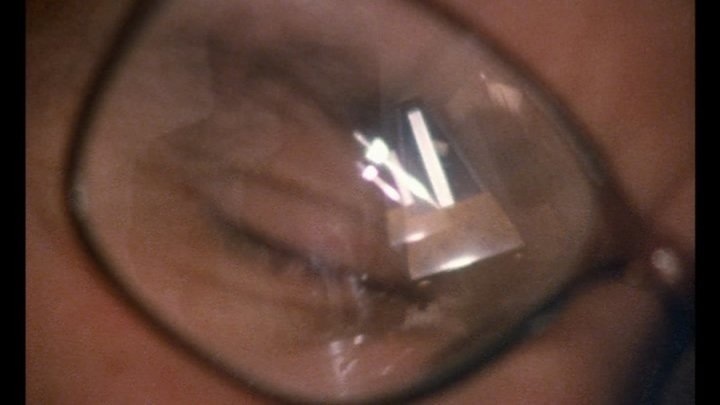 At times the script never really moves forward and like I said we often get the same basic scene played out a few times, but yet it still works and Cat in the Brain is very much driven by Fulci as he’s in almost every scene. The motivation for the killer is never really made clear and while the script at times does lack depth it was nice to see Lucio Fulci attempt a more character/plot driven movie like he did back in the 70s. 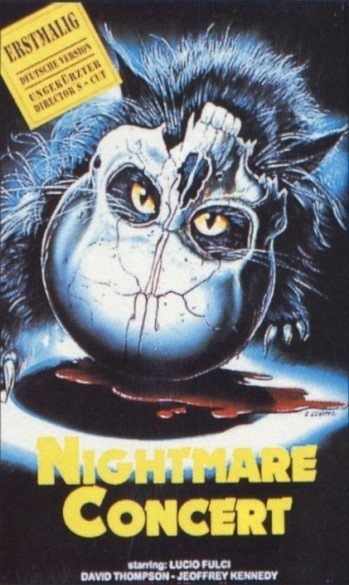 Cat in the Brain is also sort of a satire of Lucio Fulci’s work and horror in general; it’s an interesting idea to see how years of horror films impacted Fulci and sort of drove him near the brink of madness. Cat in the Brain isn’t a straight up satire, but the satirical elements work very well and while Fulci, Simonelli & Tentori may not write the greatest script they do deliver an excellent movie despite the flaws. 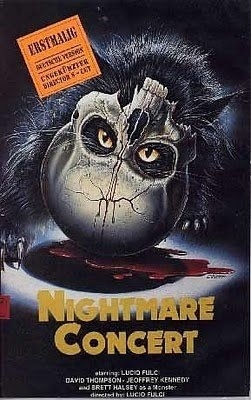 Let’s be honest here Cat in the Brain is a movie by a director who is past his prime and clearly seen better days. 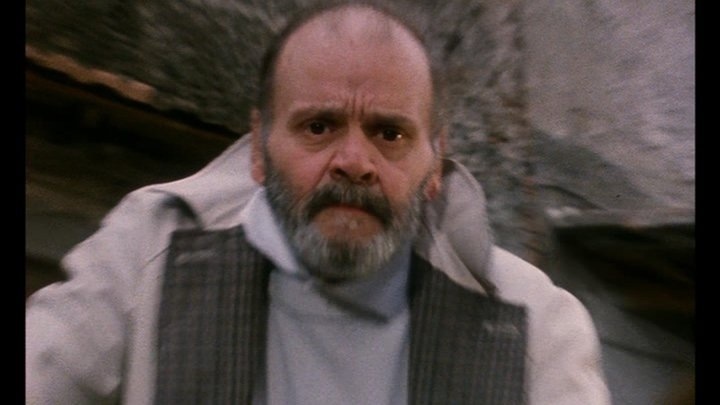 As much as I enjoy the films of Lucio Fulci again I really had a dislike for the majority of his post-Ripper movies and I think even the most loyal of Fulci fans would most likely agree. 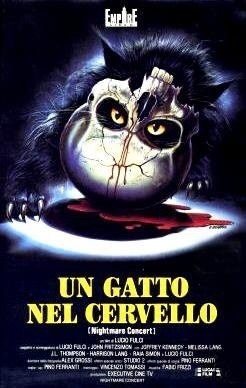 But with Cat in the Brain, Lucio Fulci showed he had one more excellent film left in him. While Cat in the Brain may not have the eerie feel of some of his past movies, Fulci creates a movie that is weird, twisted and sometimes funny. The pacing of Cat in the Brain can be a bit sluggish in some spots as like I said the same scene often repeats itself, but Fulci still manages to keep things interesting with the exception of a few scenes that can drag. Besides a few lulls in the action, Lucio Fulci is mostly able to deliver a really entertaining movie that while not his last film it does serve as a nice ending to a legendary career even if he did make a couple of more films after this. Cat in the Brain may not have anything really special going for it, but yet Fulci still is mostly able to deliver an excellent flick flaws and all. Based on the past few films he made I’m surprised Cat in the Brain turned out as well as it did and again this may not be the best Fulci flick, but its highly entertaining. 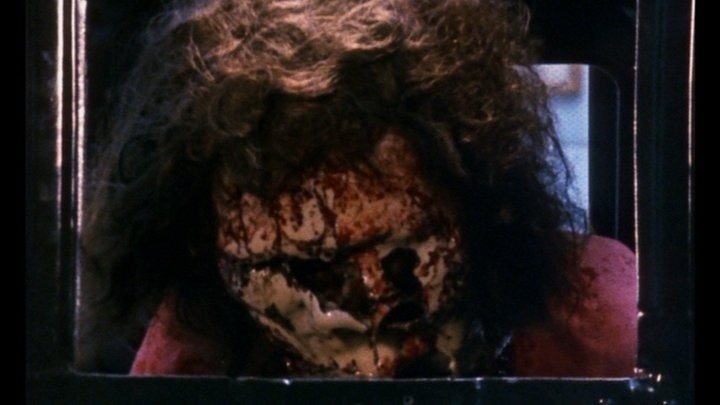 Cat in the Brain is sort of a highlight reel of gore F/X as I stated most of the gore is recycled from prior Fulci directed or produced movies. 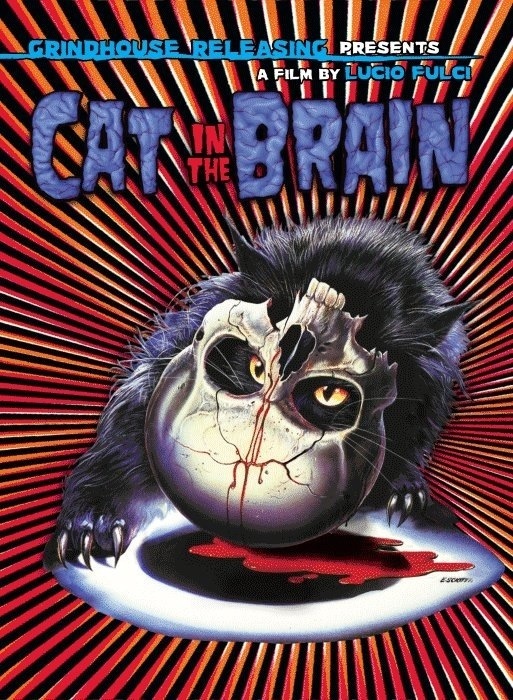 Cat in the Brain is really gory with body parts chopped off, slit throats, decapitations and even if most of the footage are from other movies it still works well and is enjoyable even if you’ve seen the movies the gore scenes are taken from. Overall I greatly enjoyed Cat in the Brain, but I really can’t defend the movie as much as I’d like to since I very much understand the negative reviews, but regardless I really liked the movie and as long as you aren’t expecting Lucio Fulci to deliver what he did in his prime I think you’ll be pleased, but this movie is really only meant for fans of Lucio Fulci and this film is best watched after you’ve seen a majority of his flicks. Lucio Fulci actually claimed Wes Craven’s New Nightmare was a rip-off of this movie and while they have a few things in common I don’t think New Nightmare ripped this movie off at all. Also Brett Halsey plays a pretty big part in the movie, but yet all his footage was taken from previous Fulci flicks and he actually doesn’t appear in the actual production.